Welcome to the newest advance in lawn maintenance technology. This revolutionary advance in cutting assembly design will save you time, money and increase your productivity. Mows faster - wet or dry. Stays sharp longer. 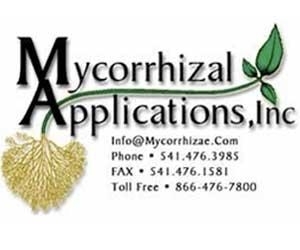 in Electrostatic Spraying Systems, Inc., Electrostatic Spraying Systems, Inc., Electrostatic Spraying Systems, Inc.
in Mycorrhizal Applications, Inc., Mycorrhizal Applications, Inc., Mycorrhizal Applications, Inc., Mycorrhizal Applications, Inc.
Mycorrhizal Applications Inc. researches, produces, and sells mycorrhizae fungi that greatly accelerate plant growth and benefit their health. They form a close mutually beneficial relationship which aids growth.